Michael Hoult's 'Roam' is now rigged with an Allyacht Spars rig and now looks like a sailing boat! 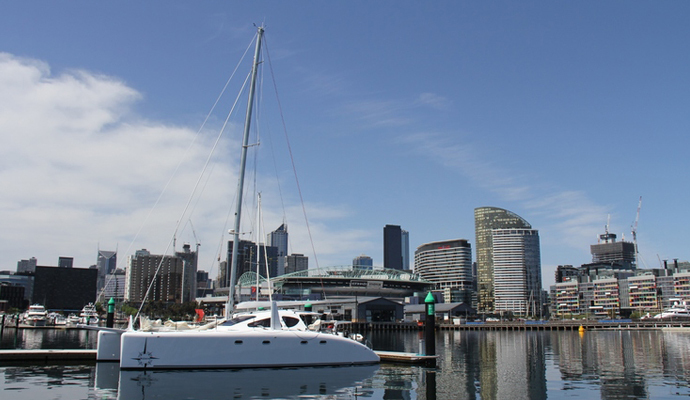 The boat was motored across Bass Strait to step the mast in Melbourne. The sails have been measured up and on their way but in the meantime Mick has borrowed a headsail to at least get a feel for Roam. Roam has settled in nicely on her lines while still floating high. For those who haven't seen the new 'RoamSailSurf' website its worth checking out with amazing photos of their adventures so far. We will keep you updated but if you would like to follow the Roam adventures you can join the mailing list to receive up to date news.